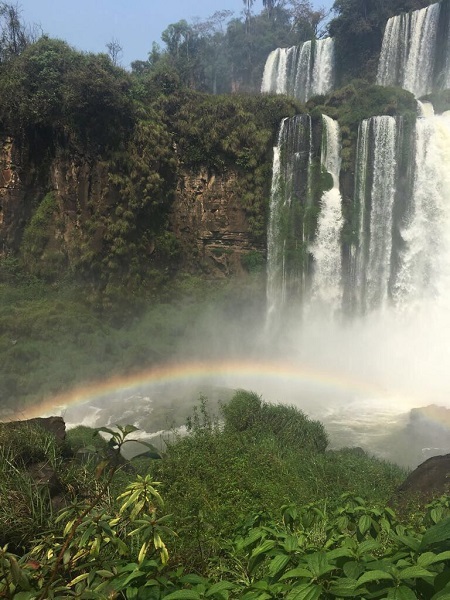 Charlotte Robson, Assistant Manager of our Westbourne travel agents, had the amazing opportunity to travel to Argentina and Brazil. 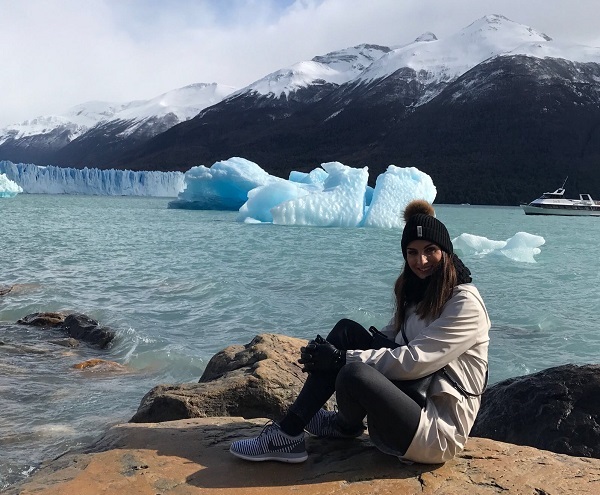 Her trip included the chance to discover the Perito Moreno Glacier, Iguassu Falls and many captivating sights besides. We flew in economy class with British Airways and it was a direct service to Buenos Aires lasting about 14 hours. We arrived at 8.15 am and transferred to our first hotel where we would stay for three nights. This was the five-star Brick Hotel M Gallery, a boutique style hotel with a great atmosphere close to a great choice of shops and restaurants. There are 175 rooms, 150 of which are deluxe, and 15 suites. There is one main restaurant which serves breakfast, lunch & dinner, as well as a full fitness centre with pool and sauna. I really liked this quirky design hotel and I would recommend it as a good base to explore the city with ease. We then had a hosted lunch at the five-star Superior Sofitel Hotel. Originally, there were private apartments where the hotel now stands. Now there are 140 rooms graded superior, luxury, junior-suite and Prestige suite. It is a historical/colonial style property with an elegant and romantic feel. It was taken over by Sofitel in 2003. That evening, we all experienced an authentic Tango Show in a beautiful old theatre “Esquina Carlos Gardel”. It is decorated in 1920s style to reflect the character of the golden age of tango. The dancers and singers are among the best in the world and were backed by a first-rate orchestra. Throughout the show, we were served dinner, which was such a wonderful experience. Before the day was over, we viewed the five-star deluxe Albers Palace Hotel. This property has 207 rooms complete with opulent and luxurious furnishings. There are 13 room types across the two wings, some of which are traditional and some are modern. 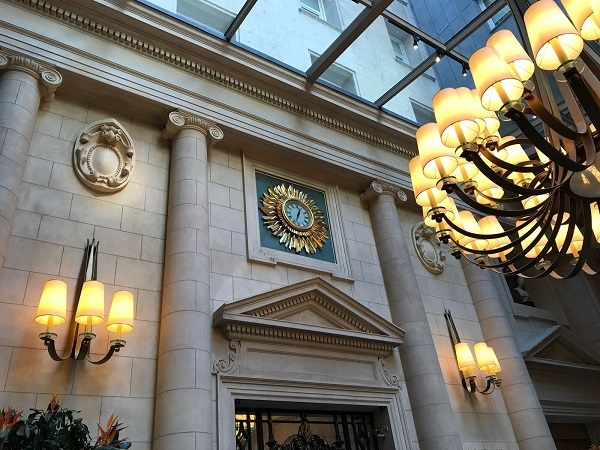 We viewed a Palace Premier and a Deluxe Suite. I also noticed the beautiful rooftop bar, decorated in art deco style. The next day, we enjoyed an escorted city tour of Buenos Aires with our amazing guide Sandra, who I would highly recommend. 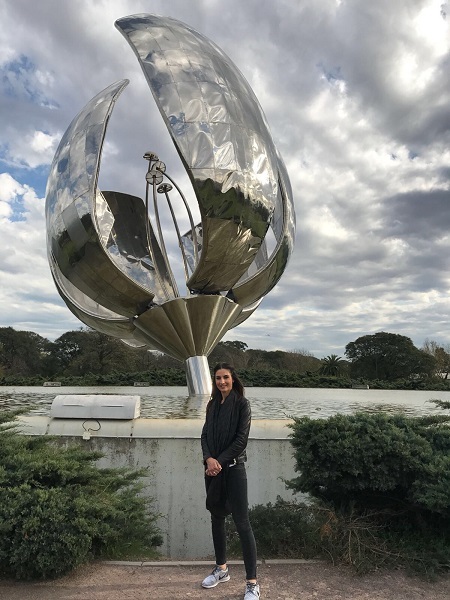 We first stopped at a park with a tulip sculpture which mechanically opens and shuts during the sunrise and sunset. It was built for the millennium year and is called the ‘Flower of the City’. We stopped at another beautiful park which had a stunning rose garden and an array of birdlife. We visited the famous cemetery in the centre of the city founded in 1801, which is mainly for very wealthy people such as government officials and artists. They purchase the plot, which will have the family name above it, and build upwards. This will eventually hold all members of the family and drops down 10 metres. We also visited Buenos Aires’ world-famous bookstore, a beautiful building in an old theatre. Travelling towards La Boca, we drive down the main avenue which has 14 lanes and is lined with native species of Argentinian tree. One of these, called palo borracho, grows avocado style pods which produce a furry inside used for pillow filling. We arrive in the La Boca district to an abundance of colourful and characterful buildings filled with shops, food outlets, and lots of arts and crafts. We had some free time here to explore by ourselves and to purchase any local gifts. It was then on to a hosted Lunch at the five-star deluxe Four Seasons Hotel. Two years ago they had a major $50million refurbishment. There are three different room types - standard, junior suite and one-bed suites. The standard rooms are actually very spacious and beautifully furnished with open bathrooms that feature roll top baths and a TV in the mirror. The suites are located in the opposite building which is built in the style of a beautiful mansion. There’s a stylish Argentinian bar, a Club Executive floor used mostly for corporate guests, an outdoor swimming pool, a BBQ style restaurant and a main restaurant with open kitchen, called Elena. We had an amazing banquet style lunch which included the freshest and highest quality produce. The restaurant serves such delicious food and it’s something I would definitely recommend. Our evening consisted of an authentic Argentinian experience. 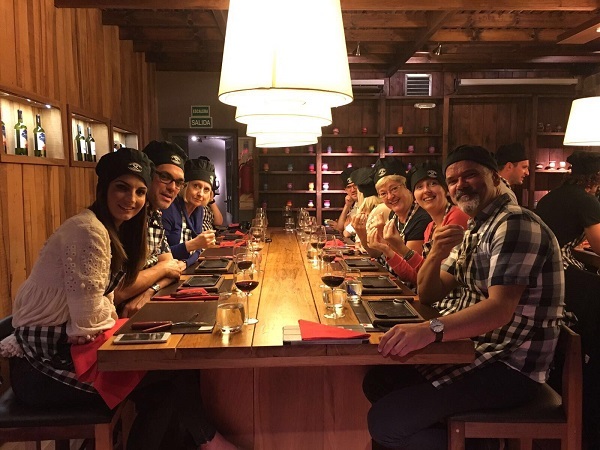 We visited a cookery school for some wine tasting and empanada making, the latter being a local delicacy in Argentina. It was so much fun and a great way to socialise whilst enjoying a wonderful meal. They also included the making of their local tea (Mate), which all Argentinians are brought up on. It is served with loose leaves and drunk through a metal filtered straw. The next day, we drove down to the district of Puerto Medero where we had our last hotel inspection in Buenos Aires. This was at the five-star Alvear Icon Hotel (sister hotel of the Palace). The location is not really central and would not be ideal for a short stay. The owners are Jewish so there is a kosher bar and restaurant with facilities for private dining. In total, there are 159 rooms and suites with private residences on the higher floors. Again, luxury furnishings graced the rooms and there was an elegant style throughout. Next, we had a hosted lunch in the Pampas, an area of lowlands that stretches across South America. We departed for the Estancia El Ombu de Areco ranch, which was approximately one hour and 40 minutes away. 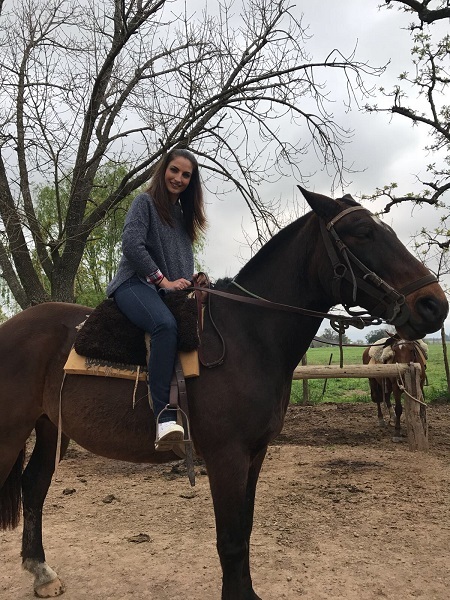 The ranch is situated on 300 acres, split between tourist use and private working areas. We sat down to a BBQ Gaucho lunch with traditional music and dance throughout. One of the Gauchos showed us how to tame a horse through trust and with ‘horse whispering’. We all got to experience riding across the open fields - a real highlight for me. The animals were beautiful and you could tell they were looked after well. I would highly recommend this for a fun and interesting day that is not overrun with tourists. This morning, we transferred to Patagonia, a journey that would take three hours by plane. 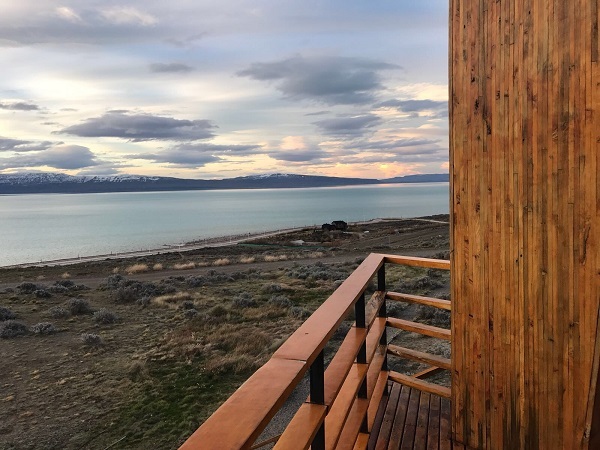 Our first two nights here were spent in El Calafate at the Hotel Kosten Aike. It is located two blocks away from the main downtown area with lots of shopping and eateries nearby. They run the hotel as an environmentally friendly property with rustic style furnishings. Parquet National De Los Glaciares is the national park in Patagonia and is made up of several glaciers which can be visited via hiking trails or by boat. They feature two lakes called Lago Viedma and Lago Argentino, with El Calafate being located in the southern region of the latter. October to April is high season and December is usually busiest. May to September is low season and during this time weather can be very changeable – anything from -10 up to 15 degrees. We enjoyed a hosted brunch at the five-star Xelena Suites, located in an elevated position overlooking the lake. There are 71 rooms and suites, which are either facing the lake or the city. The décor is Patagonian style with dark woods and rustic furnishings and they offer a free shuttle between 11 am and 10 pm to take you to the downtown area. That evening, we were hosted by the Design Suites Hotel for a site inspection and dinner. The four-star Design Suites Hotel has 60 rooms in four categories and there is a very Nordic feel inside. Interconnecting rooms are available. I personally really like this hotel and would choose it over and above all others in El Calafate. Today, we had a full day’s tour of the Perito Moreno Glacier, including a boat trip. You can discover the glacier via a choice of organised excursions that include a five-hour boat trip, a full-day luxury dinner cruise and a longer two-night glacier cruise. There are also several hiking excursions and ice trekking. To enter the national park you will have to pay 500 Pesos in cash. The icefield is shared with Chile. The glaciers actually move two metres per day and, at certain times, pieces break away, which can be a spectacular sight but may only happen every few years. The walkways were not established until 2008 and, before this, you were able to walk where u liked, something which could be very dangerous due to the constant movement of the glacier. We enjoyed a one-hour boat trip taking in the perimeter of the south facing glacier and managed to get some great close up photographs. En-route back to the downtown area, we stopped off at the Glaciarium museum. This is an information centre which tells you all you need to know about the science of how the glaciers evolve and the history behind these amazing natural masterpieces of giant ice. 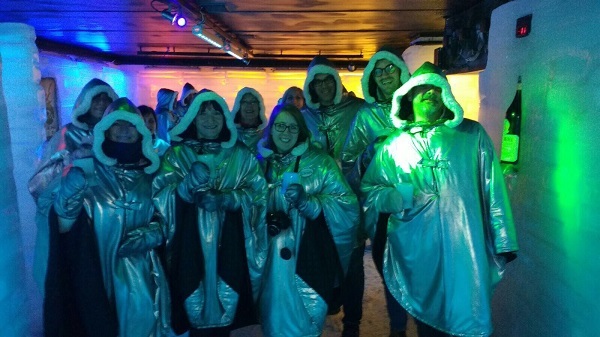 Finally, we had a short time in the ice bar. Today, we transferred back to the airport for our flight to Iguassu Falls via Buenos Aires. The journey time was five fours in total. Due to a long layover, we had time for lunch just outside Buenos Aires and a short visit to a Latin American modern art museum. We arrived at Iguassu in the evening and transferred to the Sheraton hotel, located within the national park area and right on the falls. The Sheraton Iguassu Falls has 176 rooms with four terrace suites and four premium suites. These premium suites have large terraces and a separate lounge which can accommodate an extra bed. This is the only hotel which is located within the national park area on the Argentinian side. This morning, we started early and headed along the walkways for some spectacular viewpoints of the falls. The park is open to guests from 8 am until 6 pm. Along the way, you can encounter various bird life and insects such as the plush-breasted jay, toucanets and great dusky swifts which actually nest in the wall of the falls. After finishing the short trail, we hopped on the train to the Devil's Throat falls to experience a different viewpoint. Our experience was spectacular even before we boarded the motorboat to head into the mouth of the falls and get completely soaked. I would recommend wearing swimwear and bringing dry clothes to change into after this exhilarating ride as you will get very wet...maybe the best word is drenched! Half a million gallons of water per second thunder across the falls and 40% of it is just in the devil's throat. 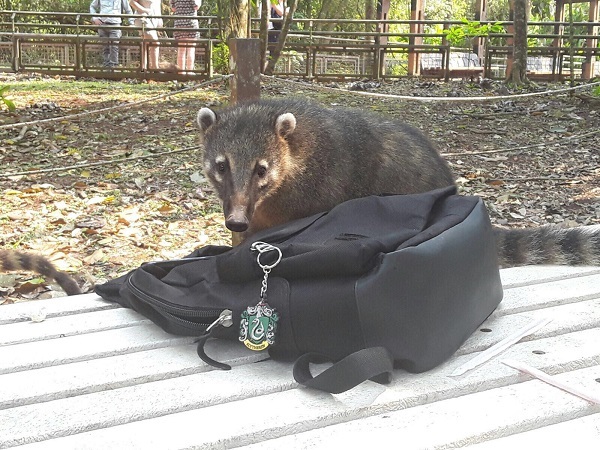 Coatis, small mammals similar to racoons, are native to these areas and they have become very used to humans. There are actually 150 mammals living here, which include jaguars, pumas, and capuchin and howler monkeys. Five different species of toucan are also native to the area, along with the endangered harpy eagle - the second largest bird of prey in the world. Its diet can even consist of monkeys, which gives you an idea of its scale. We departed early again to travel to the Brazilian side of the falls, which is about 50km away. We spent some time discovering the trails before our lunch & site inspection at the beautiful five-star Belmond Das Cataratas hotel. Again, this is located within the national park area but gives access to the falls at any time - unlike the Sheraton which has strict timings for guests. This is a definitely a benefit when it comes to getting up early before the crowds arrive. On the Brazilian side, the national park is nearly half a million acres. They have several activities that can be taken from cycling trails, boat and canoeing trips on the upper Iguassu River, and even scenic helicopter rides. Our hosted lunch was at this wonderful hotel. There are 166 rooms which include 19 deluxe with a falls view and 26 suites which have two bedrooms. All the rooms are beautiful and there is a colonial style and dark furnishings throughout. Two restaurants, one of which specialises in Brazilian BBQ buffet, offer great places to dine and the pool and garden area is very spacious. It’s lovely to come back to after a long day exploring the falls. 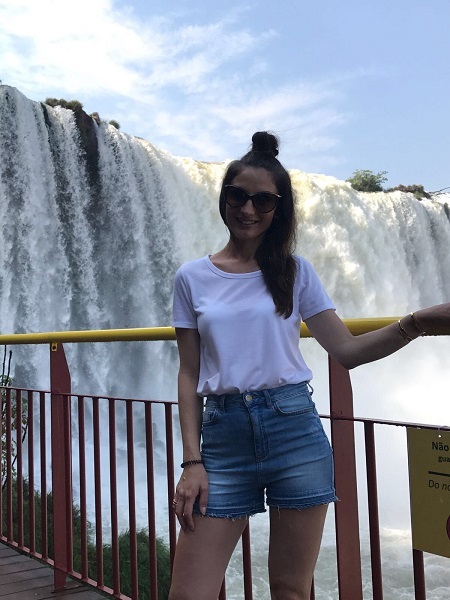 Overall, I would highly recommend this hotel as it has an understated luxury and an outstanding location that cannot be beaten by any other hotel on the Brazilian side of the falls. I would advise staying for two nights or more to get the most out of the national park. We sadly had to travel back to the airport and fly back to London Heathrow via Rio de Janeiro. This took about 11 hours on a direct service. I had the most amazing trip to Argentina and will now recommend this as a diverse destination that’s suitable for all types of holidaymaker. I can now offer the best first-hand knowledge of this spectacular part of the world. If you have been inspired by Charlotte’s trip, we can help you plan a similar adventure. Call your local Fred Olsen Travel Agents or drop by any of our travel agents in East Anglia or on the south coast.